HAPPY THANKSGIVING to all of our HPN pray-ers. We are so thankful for you and pray that you have thankful hearts this month! Join us in giving thanks, praise, and prayer to the Lord this week, especially during our nation's Thanksgiving. And for our friends and family outside the United States, join us in a heart of gratefulness during this season! We thank the Lord for the legendary comic book and film icon Stan Lee, who passed away last week at the age of 95. Lee was known for creating authentic characters dealing with real issues, making even superheroes seem human – and his characters have left an enormous impact on global culture. God used his creativity to touch people’s hearts. Let’s ask the Lord to use powerful and relevant stories – like Lee’s creations – to turn people toward Jesus, and heal them and their relationships in the process. We want to thank the Lord for two more young executives who are in influential positions in our industry. We don’t know their faith background but we want to thank the Lord for them and ask Him to touch their hearts and guide their decisions! We thank the Lord for industry leaders who are stepping out boldly to change our Hollywood culture of sexual abuse in and out of the workplace. Vice Media CEO, Nancy Dubuc, is committed to create a culture of trust and respect at the company that employs and markets to a young generation. Pray that God’s hand will work through Nancy and within the company to heal victims of harassment and transform it into a place where employees feel safe, valued, and free to do their creative work. And pray that Vice can then serve as an example of reform and help advocate for respectful and healthy work environments throughout Hollywood. We ask that you pray for all of the entertainment professionals and everyone else who has been evacuated or lost their homes in the California fires. Many people have died and many more have lost their homes so we ask the Lord to stop the fires, protect the firefighters, and bring renewal to all of these individuals and families. We pray specifically for HPN members Joyce, Scott and their boys, who lost their home in the Woolsey fire. May they feel the Lord’s loving arms around them as they rebuild their lives. We ask that you pray for the below-the-line crews working on TV shows and films. Many crew members have been sexually and emotionally abused by their superiors, and still others are not treated according to union regulations. This treatment has been less scrutinized than that of actors and writers in the #MeToo era, so crew members are particularly vulnerable to workplace abuse. Let’s ask the Lord to heal or remove the abusers and for the victims to find healing and also find the Lord in the process. We want God glorified and all people treated with respect and integrity. WarnerMedia is launching its own direct-to-consumer streaming service by the end of 2019, and it will augment their services such as HBO Now. The launching of streaming services is a competitive new business and the major media corporations are all vying for the top position with subscribers. Let's pray for wisdom for the leaders who are making the decisions of how to reach audiences and what programming they offer to the public. We ask for God to be present and active in this exploding platform. We are SO thankful for you and know that your heart of gratefulness will permeate your families, friends, neighbors and cities this Thanksgiving. Volunteer to serve the homeless this Thanksgiving. Reach out to your local churches or homeless shelters and serve the widows, orphans, and homeless community in your area. It gives you and the people you're serving so much more to be thankful for! Join Sandra Lord for a free career strategy seminar and networking event. Workshop your career goals, projects and ideas for 2019. We are thankful for our new local chapters. We now have 130 chapters in 33 countries across the globe. Feel free to welcome them via email by clicking their city names below. HPN's new 7-day devotional is available on the YouVersion app. This week our topic is PERSEVERANCE. 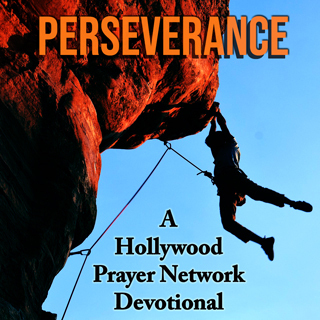 God talks a lot about perseverance and tells us how important it is and how to get it. This week, let’s focus on strengthening our faith through building perseverance, so that we can run a good race.